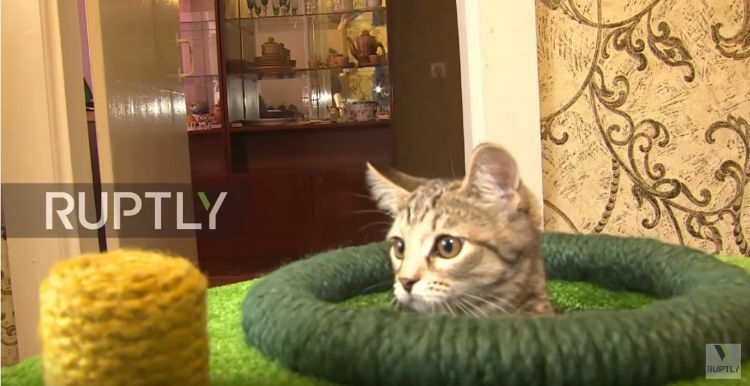 A Russian engineer has created a spectacular playhouse for his cat that is certain to make the other neighborhood cats jealous. Ivan Veryasov crafted a cat-friendly habitat for his beloved feline that has his kitty pal ready for anything. This one-of-a-kind army style tank lets this cat cruise around the house in style. 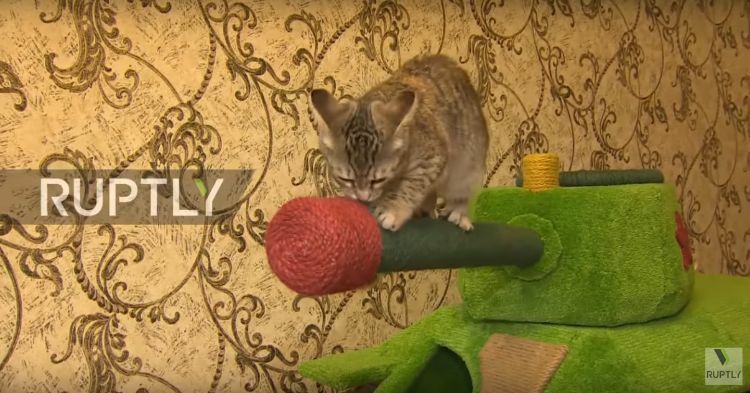 In an interview with Ruptly, Veryasov said the inspiration for the tank came when he saw other cat playhouse offerings and was underwhelmed by their creativity. He thought he could do better, and the kitty tank was born. The vehicle can move when pushed and the turret can rotate for added fun. The whole thing can be climbed in and on, and can also be used as a scratching post. The tank has been such a hit that Veryasov has created a business around making and selling these toys for other cats. Veryasov's creation is truly unique and inspired, and I think it's safe to say it's a hit with his feline friends. Don't forget to share this cruising kitty with your friends and fellow cat lovers.